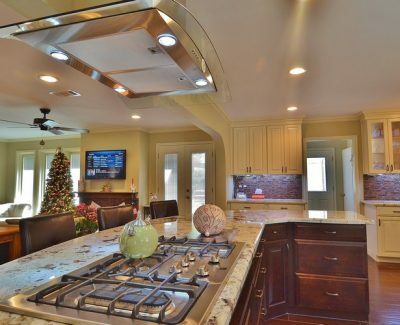 Upon entering this newly remodeled kitchen, one is immediately struck by the welcoming feel of the colors, materials and lighting. 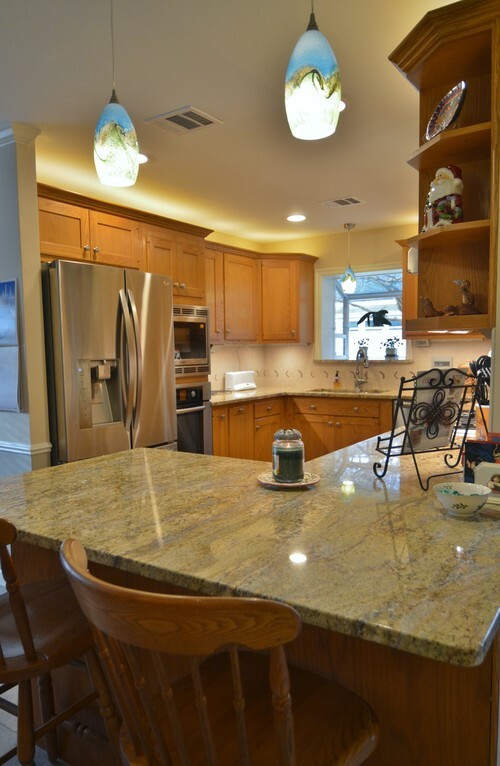 Yellow River granite plays an important role in maintaining the earthiness requested by the clients. 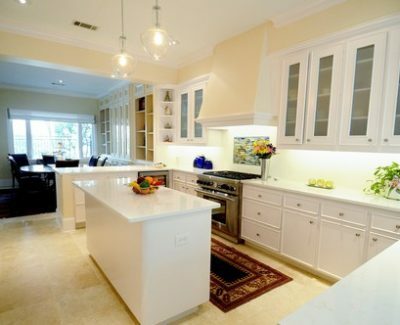 New technology brings it up to date, lighting enhances all of the new functions……read on. Design by Lerond Design Studios. 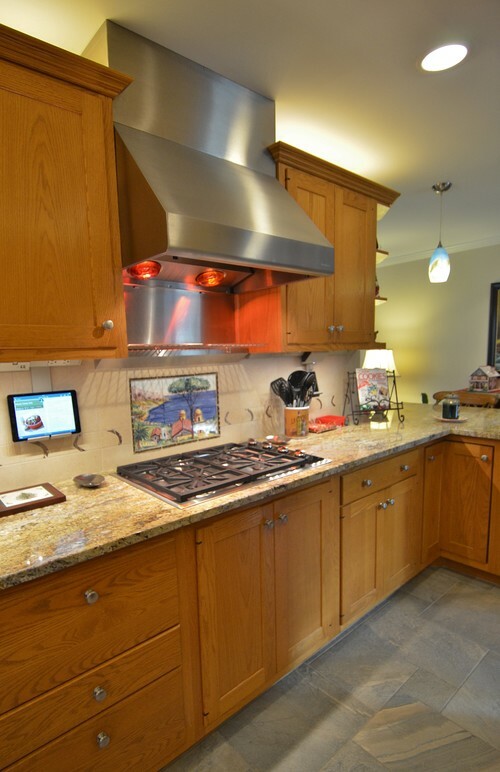 Yellow River granite flows along these counters in this function-filled kitchen. 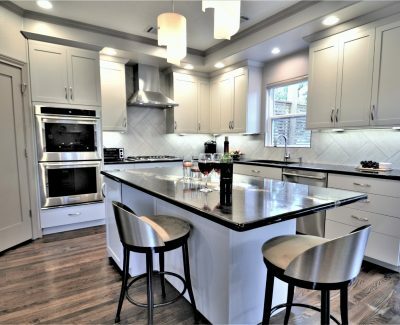 Combining the best of new and traditional, one can find over-cabinet lighting, under-cabinet plug strips, digitized “recipe books,” new stainless steel appliances and porcelain floor and wall tile, all accessorizing the infamous Woodmode cabinetry. Design by Lerond Design Studios. 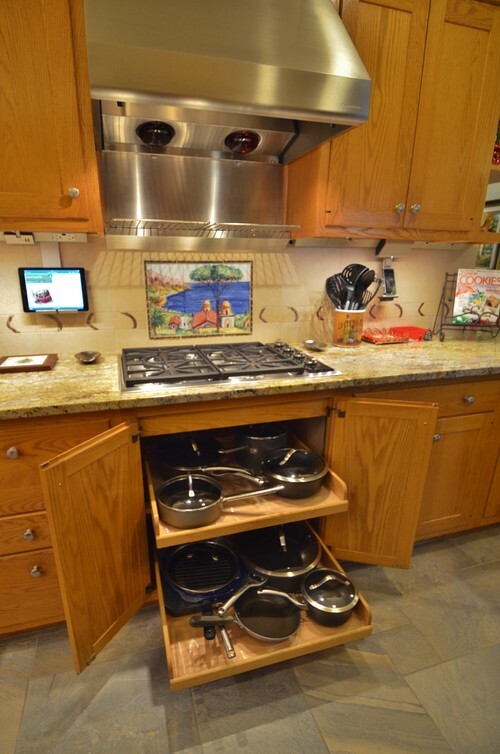 Pull-out trays for pots and pans makes access ever so much easier, especially when located so close to the point of use. Design by Lerond Design Studios. 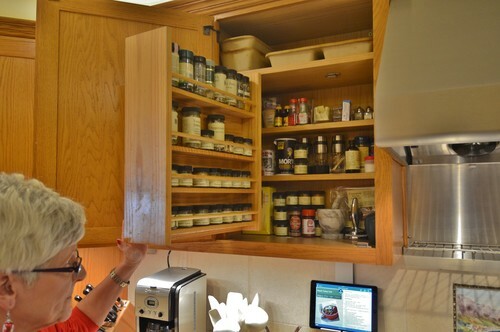 One of the incredibly useful features of this Woodmode cabinetry is the fold-out rack that contains a multitude of spices. Design by Lerond Design Studios. his appliance garage with tamboured door actually serves as the coffee brewing hub, complete with a new plug outlet inside. 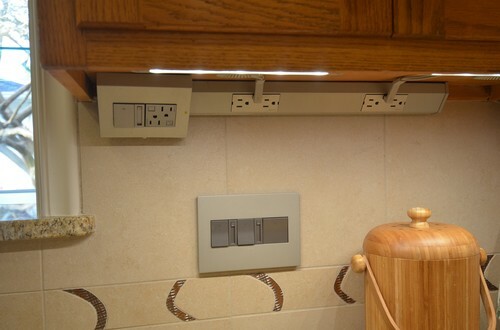 When remodeling decisions were being made, the clients wanted the existing cabinets raised, which left a gap under the appliance garage. The granite fabricators were able to craft this curb of Yellow River to fit beautifully underneath. Design by Lerond Design Studios. 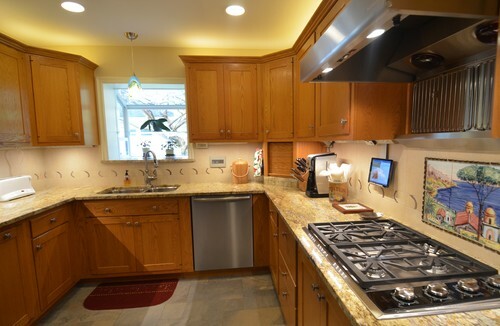 Featured in this kitchen photo are several design elements that work aesthetically (unusual porcelain backsplash, granite garden window sill) and functionally (legrand under-cabinet lighting, plug strips and light switches with dimmers) to create a wish list come true for the homeowners. 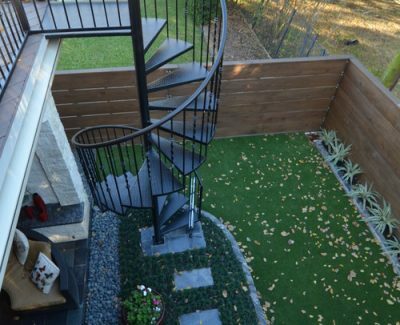 Design by Lerond Design Studios. The subtle and rich grey and neutral tones of the kitchen floor have been carried through the breakfast room and den in a multiple size format of porcelain tile in a versailles pattern. 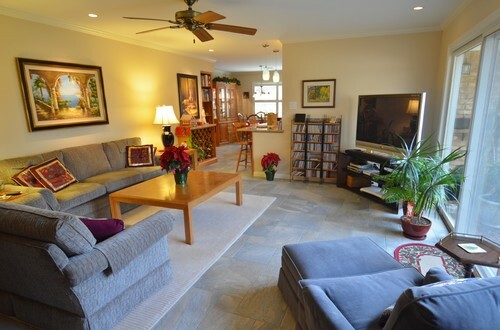 Taking cues from this, reupholstery fabrics and an area rug by Kravet were selected to further update the new look. Design: Lerond Design Studios. 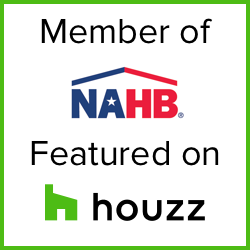 Welcome to the guest bath of this multi-phase remodeling project! Richly stained pre-fab cabinets are crowned with a countertop of light emperador and a geometric travertine/marble blend for the backsplash. 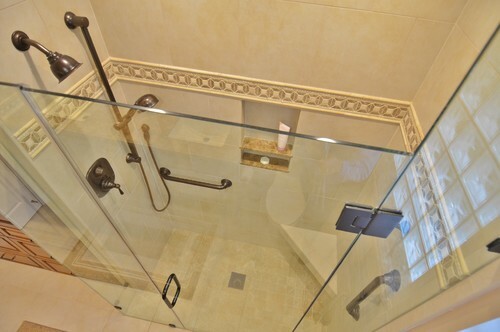 To complement the warm brown tones, an oil-rubbed bronze finish was selected for all of the bathroom fixtures, down to the metal tabs that hold the frameless glass shower enclosure in place. 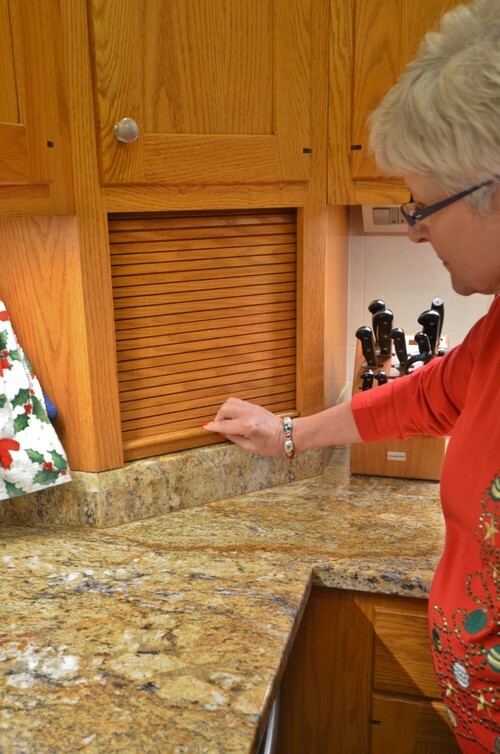 Grab bars, a vent fan with timer, and a double towel holder provide functions that make this space a breeze to use. Design: Lerond Design Studios. Converted from a tub space into a curbless shower, there is ample room to perch on the tiled shower bench for a quick shave or to enjoy the hand-held shower unit. The same geometric mosaic blend as in the backsplash has been carried around the perimeter of the shower wall, and the countertop material can also be found on the window sill and shelves of the shampoo niche. Design: Lerond Design Studios. Taken from an unexpected vantage point, this photo highlights the beauty of the mosaic design and reveals the fixtures that one may enjoy while using this space. The owners have added grab bars to the shower for future use, anticipating a desire to age in place. Design: Lerond Design Studios. Lest you think the vanity was the only storage, behold these spacious cabinets for linens, towels, and much, much more! Stained a rich brown, these pre-fabricated cabinets are topped off with deep crown moulding, giving the space that same sense of luxury contributed by all of the other elements. Design: Lerond Design Studios. 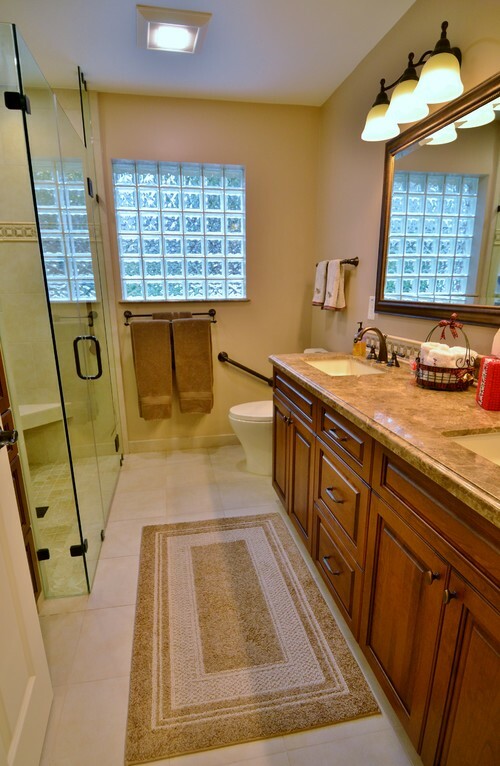 In this compact master bath, quality has not been sacrificed for function. 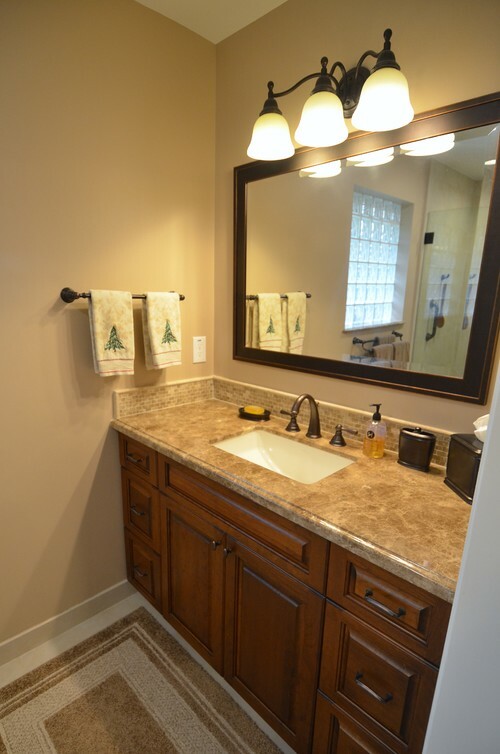 Using similar warm brown tones as the guest bath, this stained vanity sports a rectangular sink, 5/8″ stone mosaic backsplash, and a custom-made mirror. 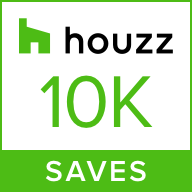 All of the fixtures in the room are finished in an oil-rubbed bronze. Design: Lerond Design Studios. Across from the vanity in this compact space stands an airy shower with a frameless glass enclosure, which minimizes the visual clutter. Light emperador stone from the countertop also graces the window sill and the top of the pony wall as well as the shampoo niche shelf. A slim-line dual flush toilet and double towel bar economize on space. Design: Lerond Design Studios. This shower packs a lot of punch for its compact size, functionally and aesthetically. 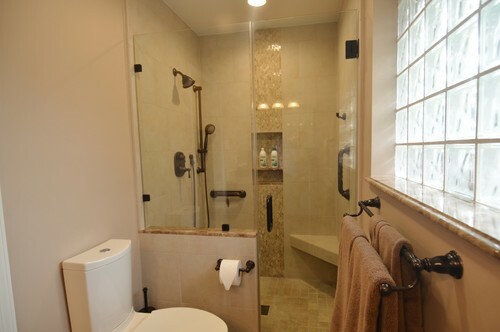 The homeowners opted to place grab bars in the shower now, with aging in place in mind. 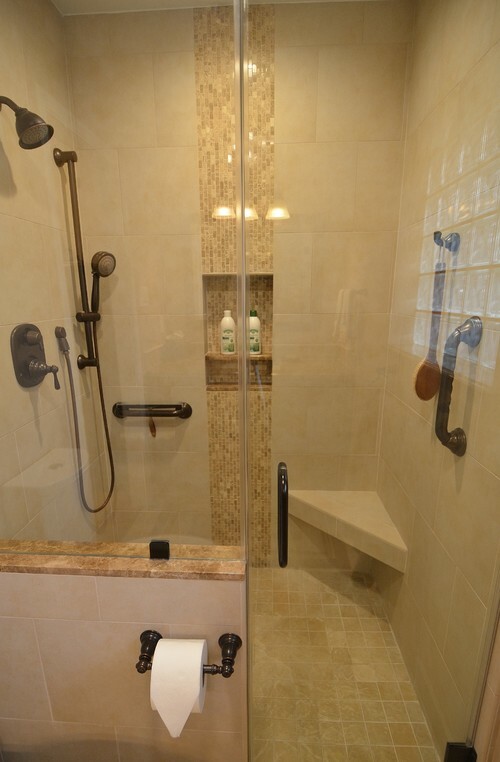 The bench is placed strategically to allow full use of the hand-held shower head when off of its slide bar. Design: Lerond Design Studios. 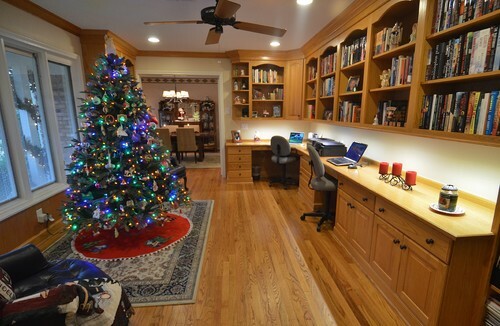 A decade ago, the conversion of this room from a formal living room into a study with two work stations and shelving for some of their books was Legal Eagle Contractors’ first remodeling job for these homeowners. Satisfied clients are repeat clients!